An extremely bio-available blend of mineral-rich Edible Earthen Foods high in Magnesium. 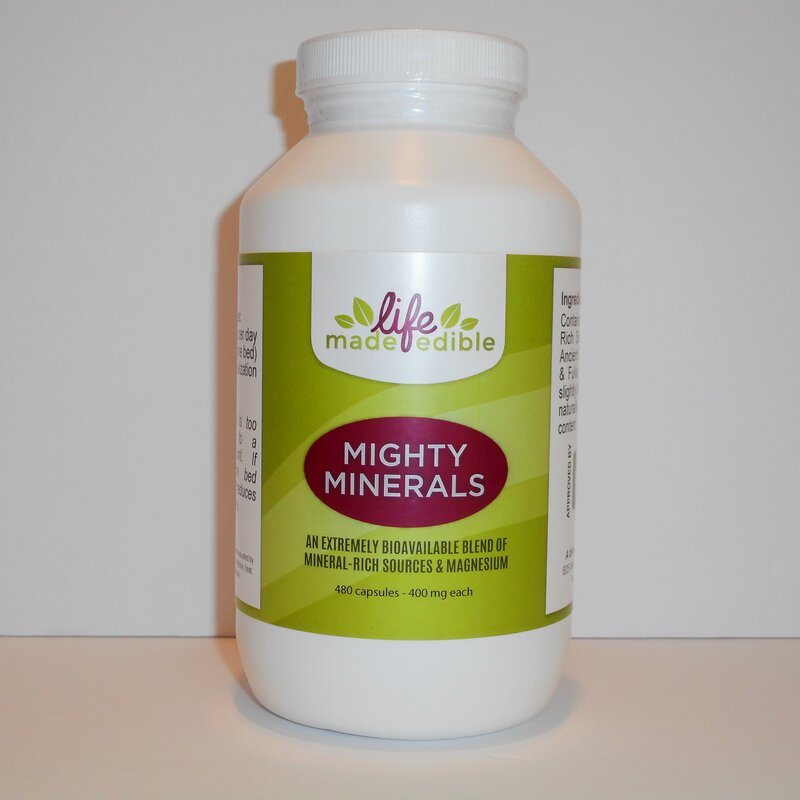 Mighty Minerals, is composed mostly of calcium & magnesium along with a broad range of trace minerals. 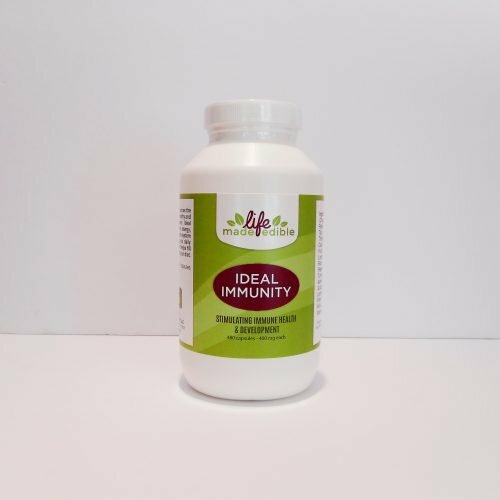 Its naturally occurring magnesium also provides the muscular system with relaxation electrolytes to balance the muscle constriction properties of calcium. For this reason it is commonly used to relax the muscles of the body prior to sleep and to support the constant constriction/relaxation pumping action of the heart. 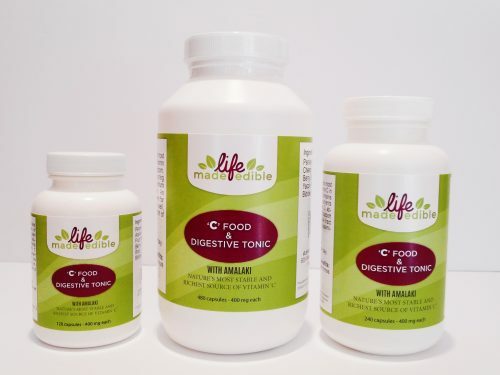 4-6 capsules, twice per day (morning and just before bed) for simple remineralization and detoxification of the body. If laxative effect is too strong reduce to a comfortable amount. Taken just before bed improves sleep and reduces cramping of muscles. 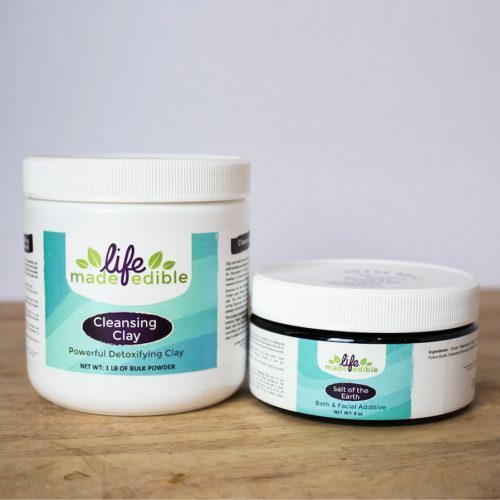 Contains a blend of two mineral- rich sources, Mighty Minerals & Humic and Fulvic Earth (to enhance bio-availability).This product may be slightly laxative in effect to some, due to it’s naturally occurring magnesium content and may be more laxative at 2 teaspoons or more for some.